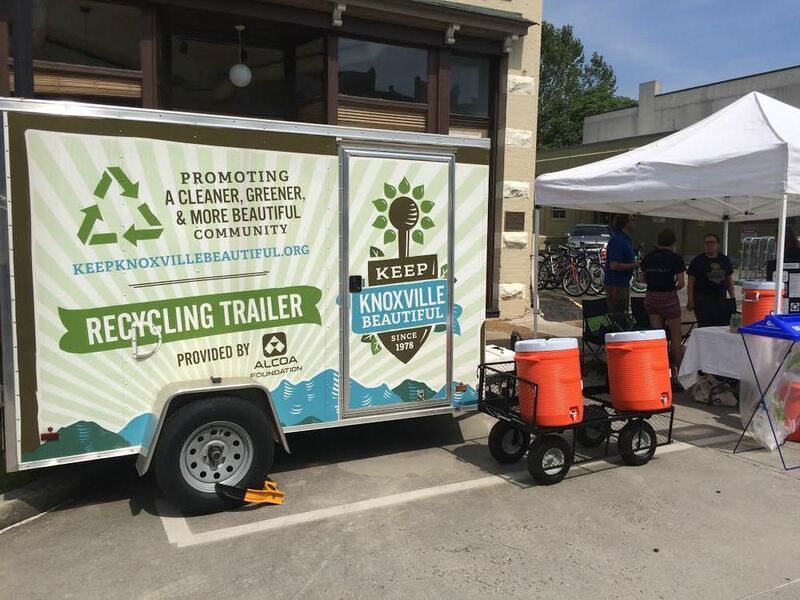 At Keep Knoxville Beautiful, our mission is to promote litter eradication, waste reduction, and beautification efforts in Knox County communities using education, events, and volunteer engagement. Check out our interactive map detailing our work over the last year! Here are some of the ways we're keeping Knoxville clean, green, and beautiful. We plan Keep Knoxville Beautiful land and stream clean ups that are open to the public. Click here to become a volunteer. We organize cleanups for groups of a dozen or more. Want to improve your community but don't know where to start? Gather some friends, call or email us, and let us customize a volunteer opportunity for you. We support smaller groups who want to organize their own clean ups by providing free supplies and sometimes additional volunteers. 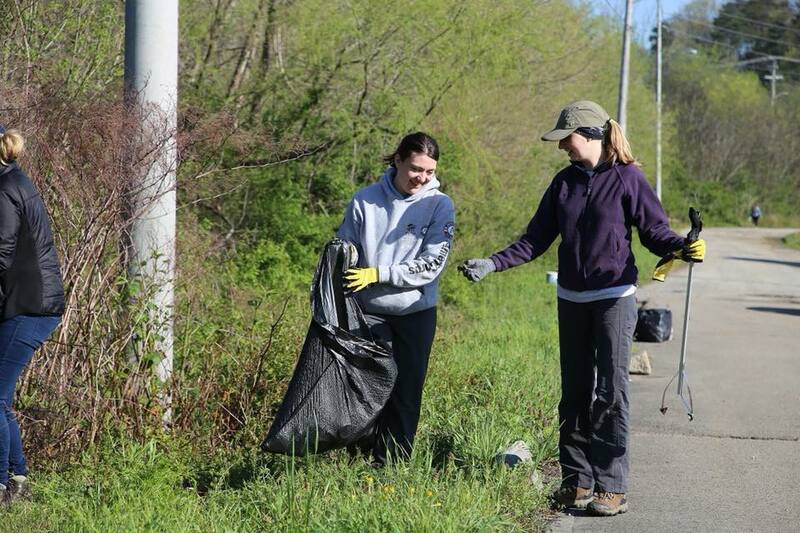 On average, every year we organize or support over 2,000 volunteers who remove over 50,000 pounds of litter from our roads and waterways. Click here to start organizing a clean up. We manage the Knox County Adopt-A-Road program. Recycling preserves valuable resources, creates jobs, and reduces landfilling costs for our City and County. We offer our Recycling Trailer free of charge to anyone who wants to provide recycling at an event. Click here learn more and to request the recycling trailer. Our public education and kids programs teach the importance of waste-prevention, recycling, litter-prevention, and environmental stewardship. Click here to learn more and to request a free visit from our program coordinator. We organize mass plantings and community beautification projects called "Beautification Mobs"--staff and volunteers who build community spaces, plant flowers, bushes, and trees to dramatically improve a local landscape in a single day. Click here to become a volunteer. Know of a public space or area business in need of some sprucing up? Click here to nominate a Beautification Mob location. Our graffiti-abatement program promotes positive solutions and supports victims of graffiti. Click here for more information. Our mural program created the Knoxville Music History Mural in 2000 and the Old City Train Mural in 2002. Our third mural is located at the corner of Bearden Pl. and Irwin St. and depicts scenes from Harry McClintock's song Big Rock Candy Mountain written in 1928. Keep Knoxville Beautiful is Volunteer East Tennessee's 2018 Community Organization of the Year. Keep Knoxville Beautiful is the winner of the 2017 Governor's Environmental Stewardship Award for Education and Outreach. Keep Knoxville Beautiful is an affiliate of Keep America Beautiful and a 2018 President's Circle Award recipient.